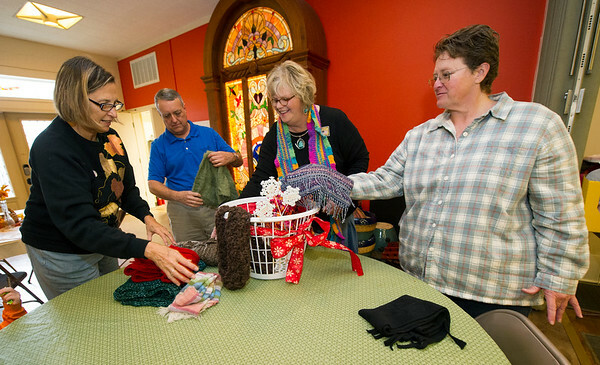 From the left: Suzi Back, Gordon Keyler, Ann Leach and Janell Sitton-Coats, all of Unity of Joplin, sort through some of the scarves they have collected at the church on Monday. Scarves, gloves and hats will be placed throughout the city for those in need to use beginning on Dec. 8. The church hopes to collect about 500 items.